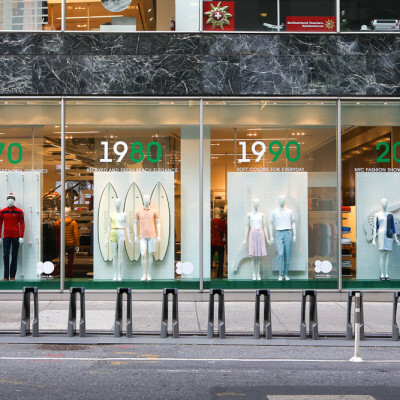 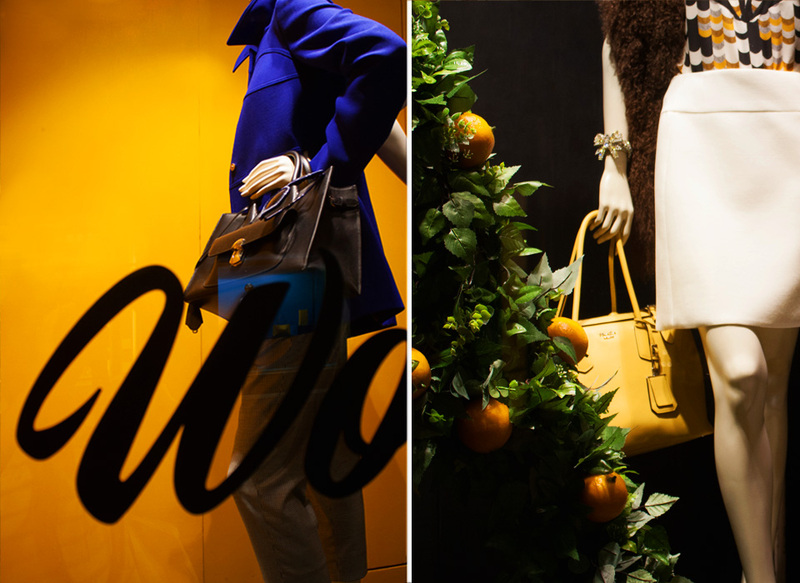 The concept of this window takes its inspiration from the graphics made by Sagmeister & Walsh, a New York based design firm, created for the advertising campaign fall/winter 2014 whose protagonists are the colours of the autumn. 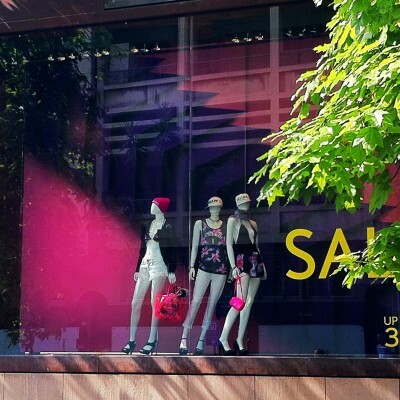 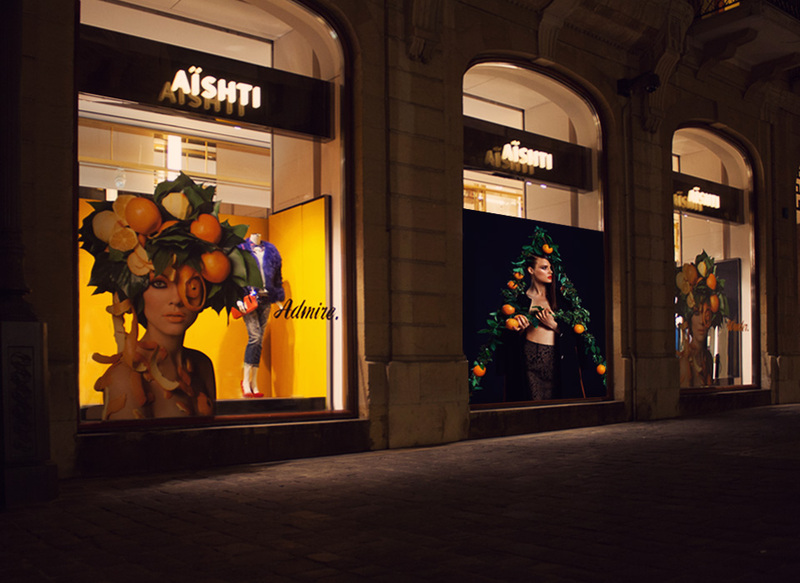 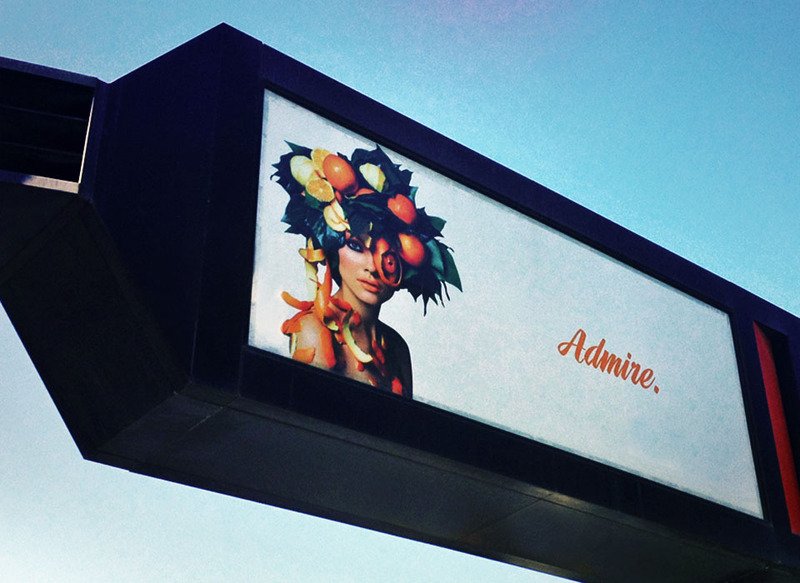 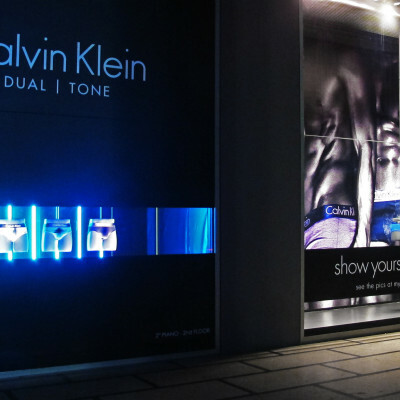 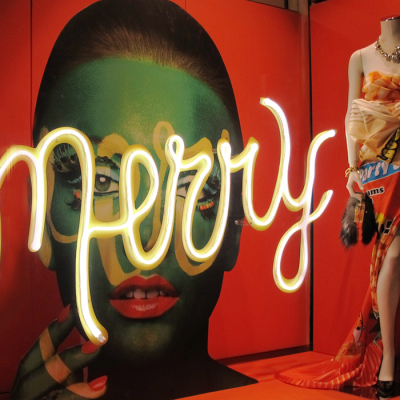 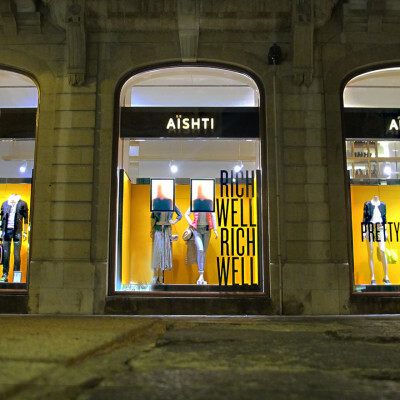 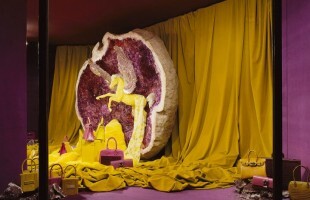 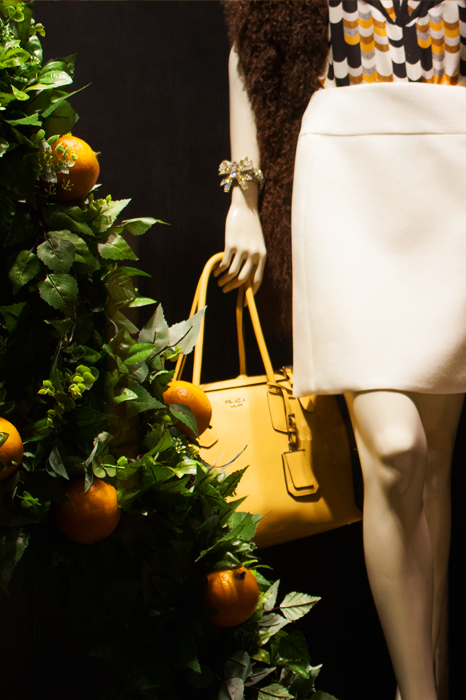 The snapshots of the oranges and the leaves, main characters of the window campaign, turn the graphics into a high quality scenic design whilst the decorations enrich the windows enhancing the shade of the iconographic orange of the Aishti brand. 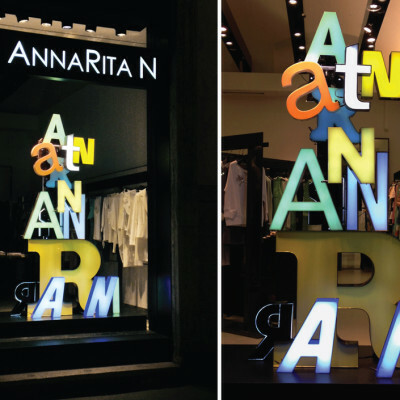 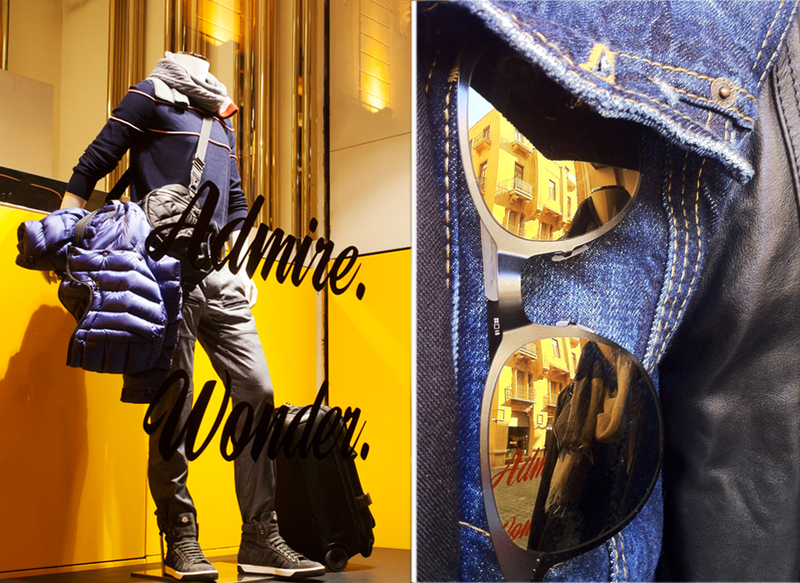 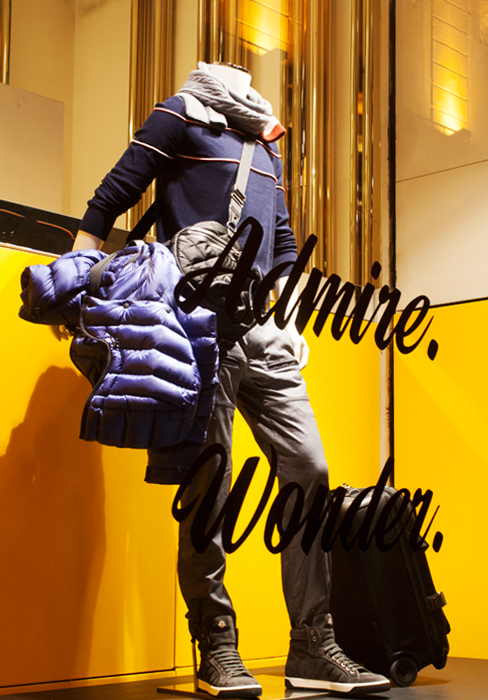 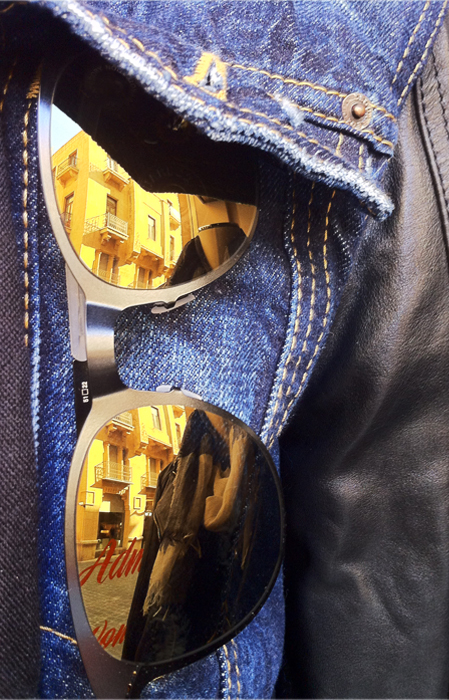 The stuctures shaped like big letters A take on special meanings: from the most explicit A of ‘Aishti’ to the A like ‘Admire’ which is one of the advertising claim of the campaign, together with ‘wonder’. 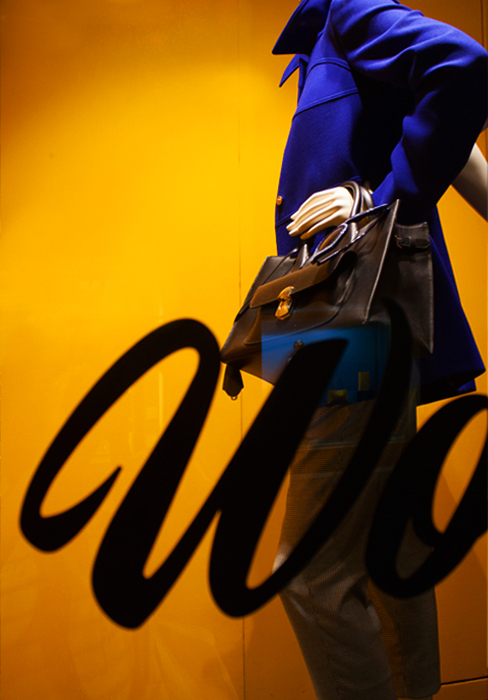 The colours and the shades of the scenic design, the stickers and the mood of the advertising claims of this window communicate an ultimate tingling sensation of autumn feeling.